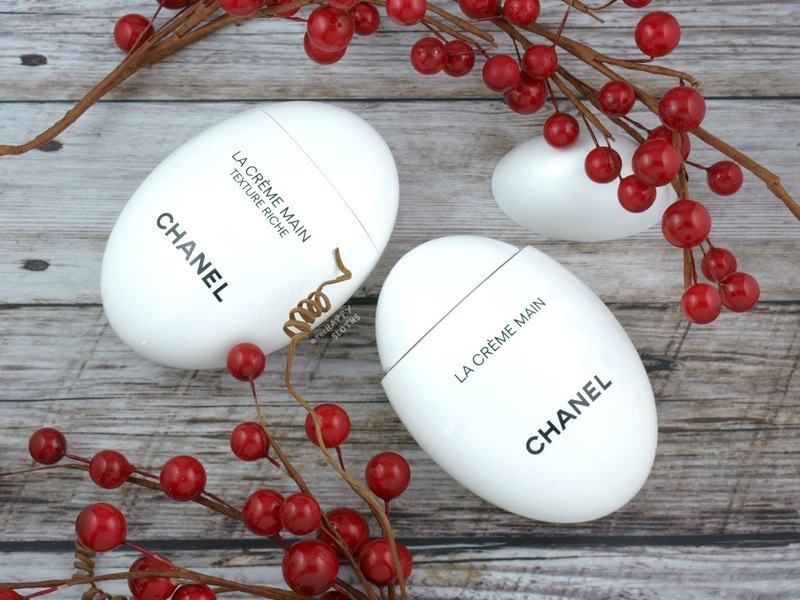 Housed in a unique and eye-catching pebble-shaped bottle (although many has been referring to it as "the egg"), the Chanel Le Crème Main (and the Le Crème Main Texture Riche) contains 50 ml of product, making it perfect for toting around in your purse. With a tiny, barely visible silicone slit opening, the bottle dispenses the hand cream only when squeezed. Therefore, the packaging remains mess-free and easy to handle even when you are in a hurry. 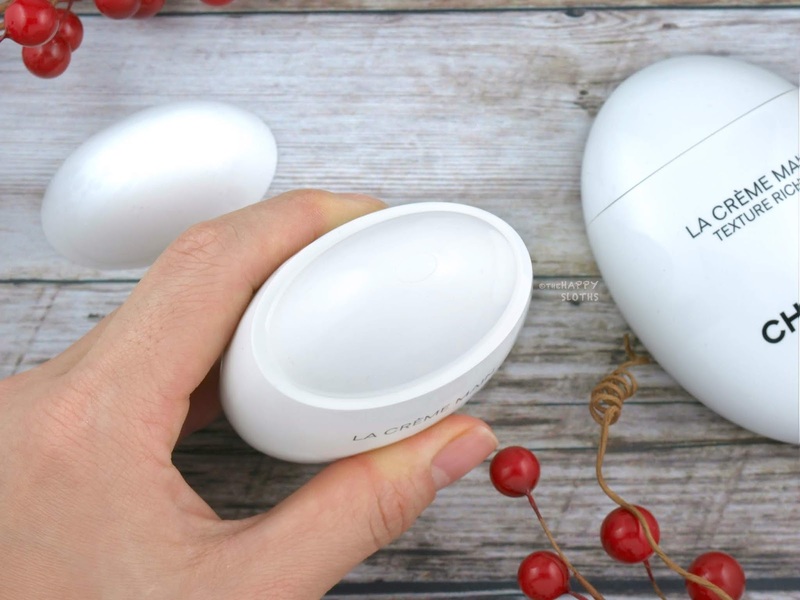 With a light, non-greasy texture that absorbs almost instantly, Le Crème Main is made with jojoba oil, rose wax, and iris root extract intended to brighten, protect, and moisturize. 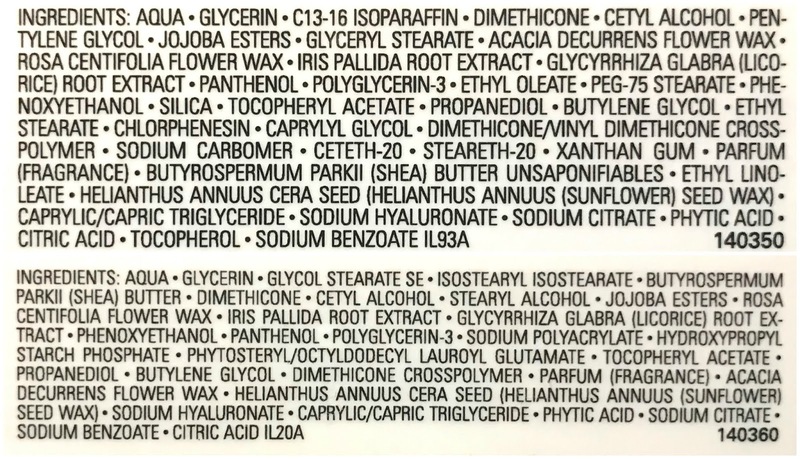 The formulation is perfect for those that can't stand a heavy, slippery hand cream as seconds after application, you can go about your day without the fear of leaving greasy fingerprints everywhere. 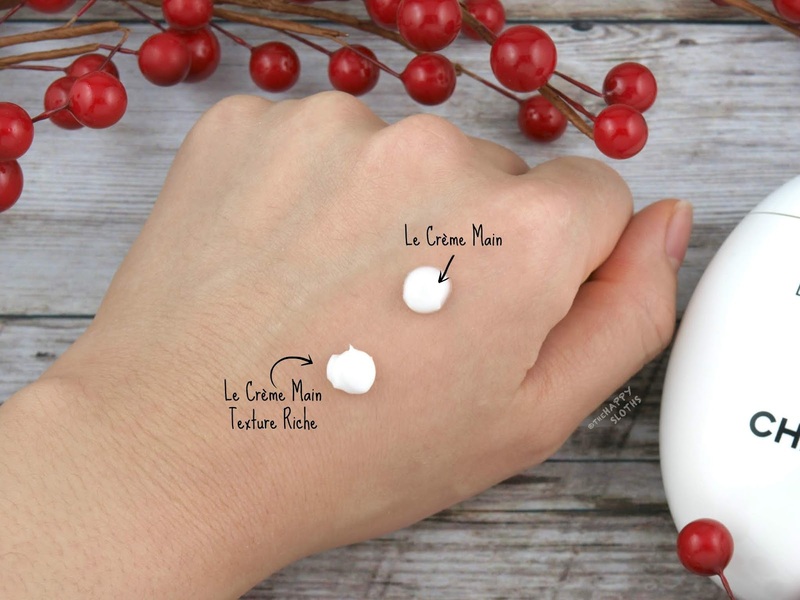 For those that prefer a richer, more nourishing hand cream, especially for the dryer winter month, the Le Crème Main Texture Riche offers just that. Made with a heavier shea butter base, Texture Riche is noticeably thicker as compared to the original. Despite the richer texture, however, the cream still absorbs pretty quickly, leaving behind minimal residue. It is worth mentioning that both hand creams are fragranced. They have a soft, subtle floral fragrance that lingers even after the formulation has absorbed. Overall, both the Le Crème Main and Le Crème Main Texture Riche are lovely hand creams. The packaging is adorable and innovative but the $70 CAD price tag is still hard to justify. But hey, if you were ever looking for the perfect hand cream to go with your Chanel handbag, this has got to be the one! Chanel is available at all Chanel counters and www.chanel.ca.